When it comes to data privacy, are consumers really voting with their feet? Businesses are taking data breaches seriously - but what about their customers? 3. Businesses would do well to communicate the benefits of their ‘data deal’. It’s crucial to building and maintaining the trust of your customers. Do consumers trust companies with their data? Deloitte suggests that consumers do not understand how much data companies hold about them. They discovered that while 87% of consumers know that companies collect their data, over half (53%) do not know what data is being collected. Separately, PwC found that as few as 1 in 10 consumers feel that they have complete control over their personal information. As a result of this diminished control, trust is dwindling. The PwC study found that only 25% of consumers believe most companies handle their sensitive personal data responsibly. And this is having an impact on overall reputation perception - only 12% of consumers said they trust companies more than they did a decade ago. In addition, consumers appear to hold contradictory beliefs about how their data should be used. When asked if they’d like their data to help save them money, offer personalised products or services, increase efficiency when calling a help desk or offering guidance to achieve personal goals, Deloitte found that the prevailing answer was always ‘no’. Against this, Acxiom found that nearly one third of all respondents to their survey strongly believe that they should only have to enter their information once (e.g. payment details), whilst two thirds either agree or strongly agree that companies should know them and their history when they call. It’s clear that a compelling picture of the benefits offered by the ‘data deal’ is key to consumer trust. Do consumers vote with their feet? Without such clarity, it’s perhaps unsurprising that consumers are yet to take serious action against companies that mishandle their data by moving to competitors. Citi found that when notified of a data breach, 65% of customers carried on dealing with the company in the same capacity, whilst only 11% stop any further business. It gets even more complicated: The DMA Group reports an evolution of societal values towards a more digitally empowered individual, and SAP found that 63% of people believe it’s their own responsibility to protect their data privacy. Rather than wait for fear, uncertainty, doubt and misunderstanding to shape attitudes and behaviours, businesses should take the opportunity to define their own, proactive privacy stance. By being transparent, actively managing customer expectations, defining best practice, and articulating their ‘data deal’ in easy-to-understand terms, organisations can stand out from their competitors – and define their own privacy brand, rather than have it defined for them. Consumers aren’t yet setting the standards for privacy best practice – and we can’t expect them to. But the privacy landscape is rapidly changing. Public discourse and regulation are shaping privacy awareness and building up customer expectations. To understand better what a “privacy-mature” customer looks like, we’re currently doing our own research to explore emerging consumer beliefs and new behaviours around data privacy - and how brands can actively manage them. Watch this space to get the latest findings – or sign up to our newsletter (go here, then enter your email address in the box on the right). 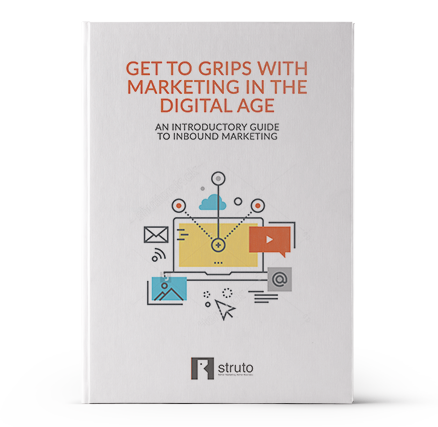 In this exploratory eBook we highlight the marketing challenges that B2B companies are experiencing in a digital age and present the inbound marketing approach that helps overcome these obstacles.